A few seasons ago, a loud mouthed NFL player — Richard Sherman — aggravated a nation and drew controversy with a post-match interview. At first glance, Sherman comes across as a brash, ignorant and unsporting meat-head, who uses his air time to settle a score. Completely unattractive to the uninitiated. But when you dig a little deeper, there’s a magnetic story to Richard Sherman. It tells the tale of a highly educated, top performer, who masterfully plays the game around him to his own success. One of the most compelling parts of Sherman’s story is his intellect. He is a self-confessed nerd, who graduated with a near perfect record from Stanford. Sherman is a textbook example of the effect of trash talking in sports — It splits opinion. For some, it’s an unnecessary act that brings the athlete’s character and sportsmanship into question. For others, it’s the showmanship that makes it all worth watching. Many would consider splitting public opinion in such a way a risky move. So, why do athletes do it? To answer the question, we’re going to take a look at the #1 trash talker in sport today — the UFC’s Conor McGregor. Conor — a fellow Irishman — is the first Irish UFC fighter to be considered a success. He is brash. He is cocky. He loves to trash talk. And he seems like an egomaniacal thug at first glance. For those in the know, his accent reveals he’s from a notoriously troubled and crime-ridden neighbourhood in the city of Dublin – Crumlin. Lot’s of similarities to Sherman — who grew up in Compton, California — except Conor has no higher level, university education to add a layer of sheen. In the following video, he is on stage at a press event with an opponent of his, Dustin Poirier. At face value, he’s not someone you’d really want to take life lessons from, right? But Conor is an elite martial artist and has become one of the UFC’s biggest stars in record time. They treat him very differently to every other fighter in the organization. Since discovering Conor, I’ve studied him closely, to get a better look at who this guy really is. And why he’s become so successful. Even if you don’t like UFC — or violence — there are some key marketing and life lessons to learn from Conor’s meteoric rise to success. To begin the intrigue, since his arrival in the UFC, the treatment he has received from the sport’s premier organization has many in the UFC community questioning whether or not he is the “real deal” and worthy of the attention. These questions have continued to stack up even as Conor earned his title shot against the reigning, undefeated, UFC featherweight champion — Jose Aldo. Conor was originally scheduled to fight Jose on July 11th, in what the UFC had positioned as “The Biggest Fight In Featherweight History”. Jose has since pulled himself out of the fight (due to a rib injury), to be replaced by the #1 Featherweight contender and wrestling superstar — Chad Mendes. Conor has many doubters who have suggested that he’s “all talk” and just riding “a hype train” since his arrival on the scene. In the world of Mixed Martial Arts (MMA ), there are many combat disciplines that play into one fight. Many feel the UFC have been protecting him from wrestlers, by matching him with favorable opponents, so the organization can “cash in” on their Golden Boy, before he is then torn down. And in an interesting marketing move, as soon as Chad Mendes stepped in to fight Conor, the value proposition of the fight was re-positioned by the UFC as “McGregor Answers the Wrestler Question”. These questions have been hanging over Conor’s head since his arrival in the UFC. Yet, after only 2 fights in the organization, Conor was chosen to headline a main event in his hometown of Dublin. Fighters with that level of experience who have come from obscurity simply do not get a main event slot. The reason for this — from a marketing point of view — is because over a very short period Conor has grown one of the largest fan followings in the business. From studying the way Conor played the game around him in the lead up to his title bout, here are the lessons I’ve taken away. #1 – Know what business you are really in. Many businesses fail to reach their full potential because they don’t know what business they are really in. Conor realizes that UFC is not just about combat. It’s about entertainment. And half of the entertainment value (if not more) of a fight comes from the build-up, backstory, and promotion of the event. Conor has developed himself into a brash, smooth-talker who hypes up his fight with a natural confidence, and trashes on his opponent with world class ability. He does this with style and he does it to build anticipation for his event. He sells the event. And he sells it hard. But selling the event is not his main goal. His main goal is to get the entire audience glued to HIS fight. He wants there to be no mistake about why people are tuning in. #2 – Know what your audience REALLY wants. 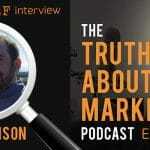 Do you really know what your audience wants? Most people think they do, but there are often subtle differences in what they want… and what they REALLY want. In the UFC winning is not enough. Sure, Conor is a professional fighter, and fans like to see wins. But what the audience and organization REALLY want is a “finish”. They want to see one competitor knocked out cold on the canvas. Decisive victories by the world’s most talented combatants is the UFC’s Unique Selling Proposition (USP). And that’s what UFC martial artists need to deliver. The biggest stars (who get the biggest rewards) are the ones who help the organization deliver their USP, by consistently delivering a finish. Showing up and going the distance is not enough. It’s about delivering. And Conor realizes this. Of the 17 fights he has won, 16 have been finishes – a 94% finish rate. #3 – To win people over, say what you’re going to do. Then do it. For 3 of his 5 UFC fights, Conor said he was going to knock his opponent out in the first round. In each fight, he did. Every time it happens, fewer people are left questioning his legitimacy. #4 – Position yourself uniquely and you will attract the lion’s share of attention. Outside the ring, UFC fighters all look the same. Their clothes are covered in logos, sponsors, and branded merchandise. Generally, they look terrible. In sharp contrast, Conor wears custom made suits that cost him a pretty penny (paid for out of his own pocket initially). This costs him revenue in sponsorship deals. This he can take to the bank 20 times over. And his competition has noticed. 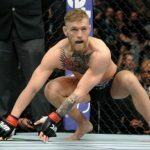 Since his arrival in the UFC, “the McGregor effect” has seen all manner of imitator roll out their 3 pieces in an attempt to capture some of that same attention. But when you were the first into a market, all the imitators only reinforce your position. They don’t weaken it. 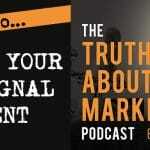 #5 – To reach the highest heights, you need a persona and a story. A persona and a story will take you a long way, but both need to be authentic. The reason Conor gets so much attention — beyond his heart-pounding performances in the octagon — is because he is funny, he speaks well, and he is compelling to listen to. It’s safe to say he doesn’t exactly shy away from speaking his mind. In the world of UFC where each competitor has the personality of a puddle, Conor’s appeal shines unopposed. People WANT to hear what he has to say next. Comparing his earlier media appearances to the more polished McGregor of today, you can see a dramatic improvement in his confidence and bombastic delivery. He also proudly leads with his Irish origins to capture the imagination of his home country. He talks about taking a stand and representing his fellow Irishmen on the international stage. This gives the media a talking point, a back story to deliver for Conor as he marches to war. And the strength of Conor’s story only grows as each fight draws fresh legions of Irish fans, at home and abroad. If he was in any way inauthentic, this would be entirely transparent and he would be almost universally despised. But he is authentic. And for that reason, his persona is magnetic. Build your persona and story around your strengths and uniqueness. Own them and wear them like a badge. They are what make you, YOU. #6 – Notoriety is powerful. Conor’s fighting moniker is ‘The Notorious’. And that he is. People hate him as much as they love him. Conor teaches us that you shouldn’t be afraid of upsetting people. Split opinion. Someone will tune in and REALLY want to cheer for you. Someone else will tune in and REALLY want to see you get knocked out. But both of those people are tuning in. And both of those people will be talking about you. #7 – Attention without conversion is useless. If you talk the talk, you better walk the walk. You need to have substance. You need to reward people for giving you their attention. Make them want to see more. In contrast, if you walk the walk, but you DO NOT talk the talk (promote yourself), there’s a pretty good chance you’ll never get noticed and float through life on a wave of mediocrity. But — if you can combine the two — it is a potent combination. #8 – Abandon toxic environments, set the bar high and find a mentor to steer you to greatness. Conor is originally from Crumlin, a notoriously dangerous place for young males, who regularly end up on the wrong side of the law. Conor admits that moving away from this toxic environment saved his life and allowed him to become a world class performer. But it would not have happened without his mentor: John Kavanagh. Conor admits that it was John who was able to keep his attention focused on his training, and guide him through the gauntlet of an MMA fighting career. What’s important to note is the alignment of the two in their visions and goals. John Kavanagh also had a dream. One of training a UFC champion. Not a UFC fighter (like many smaller minded Irish coaches). A UFC Champion. #9 – Ignore critics, pay attention to your trusted advisors and focus on what you can control. As mentioned, Conor has been doubted and criticized on his journey to become a UFC champion. Many people have said he’s only getting recognition due to the hype surrounding him, rather than his ability. People have said that there would never be an Irish UFC fighter. That none could come from the country that doesn’t have a world class foundation in mixed martial arts. His message is clear – there’s no such thing as an accomplished critic. Everyone’s got an opinion and 99% of them don’t matter. The only opinions he pays attention to — good or bad — are those of his trusted advisors. Those of his inner circle of family, friends, coaches and teammates. The rest is just noise. And focusing on it will only distract him from achieving his goal. #10 – The trough of failure is universal. The trough of failure exists in every domain. It is that period where your ability is not quite at the level required for the success you desire. It is in the trough that many people get discouraged, give up and abandon their dreams. Conor mentions that before his meteoric rise to stardom, he was on social welfare. It was depressing, it scared him and he continuously thought about not being able to achieve his dream. In these moments, he focused on hitting the gym. Because only at the gym could he outwork his self doubt, and improve his skill level to allow him to compete on the biggest stage. It was this focus and dedication that allowed him to escape the trough and breakthrough into the UFC. #11 – Optimize for learning, and the rewards will come. Conor talks about the ultimate goal in his career – making money to secure his future, and his family’s future. But money is never his focus. His focus is on improvement, so he can operate at the optimum level. He knows that when he gets to that level, the money will come. This simplifies his life dramatically. Because all he needs to do day-to-day is focus on getting better. #12 – Know what you want, be unapologetic about it, and pursue it with a singular focus. Conor makes no qualms about saying he is in prize fighting to become a champion and get rich. Because he is honest about it, he can pursue it openly with a singular focus. This also takes this weapon away from his critics, who can’t question him about his motives. Own your dreams, and be open about them — however selfish they may appear. If you don’t, you won’t pursue them with a singleness of purpose and others will dictate your life for you. # 13 – At the top of highly competitive fields, psychology is what separates the winners from the losers. You don’t get into the UFC unless you’re an exceptional athlete. It’s the world’s premier fighting organization. Conor’s self confessed advantage above his peers is his unshakeable self belief and his focus on winning “the mental battle”, which he considers 90% of the fight. Conor has placed a huge emphasis on his “mental game” with sports psychologist, David Mullins, whose work he admits has given him the winning edge in most of his fights. This psychological warfare was on clear display during the world media tour with Jose Aldo to promote the fight earlier this year, where McGregor took a leading role in breaking his opponent down mentally before a single punch had been thrown. How much truth there is to that, only Jose Aldo knows, but the continuous mental sparring that Conor pushes on his opponents certainly seems to have an effect. While Conor’s bombastic approach to psychological warfare might not be for everyone, he is proof that personal belief and dedication to your goals will carry you to amazing heights. But a lack of self belief will cause you to avoid “going all in”. This will cripple you at the highest level. #14 – The answer to becoming world class is not somewhere else. It’s within your mind. Conor talks about how many UFC fighters leave their surroundings to find the answer to their success elsewhere. They move abroad, they leave their gym and, there, they slip into mediocrity. No world champion has ever achieved success by hopping from gym to gym, trainer to trainer. To succeed, you have to decide to become world class in your own mind, and make it happen. You need to build the environment that gives you belief in yourself, belief in your work and belief in your team. Only then can you put yourself in a position to reach your goals, free from self doubt and skepticism. After diving into Conor’s work ethic and belief system, it’s been a hugely rewarding experience. Prior to studying him, I knew very little about UFC or mixed martial arts. But watching him win his last two fights against Justin Poirier and Dennis Siver with such confidence and skill was mind blowing. It has given me a newfound appreciation for martial artists and MMA in particular. I’ve learned that regardless of whatever field someone comes from, there are lessons to learn from the top performers who don’t shy away from shaking things up. And ahead of his fight in Vegas in July, which I’m lucky enough to be attending, I find it hard to pick against Conor on his way to his UFC championship. Outstanding Ross. Really good article and insights. I might add one other life lesson to your list: The power of a patriotic spirit, i.e. living for something greater than yourself. There’s almost nothing better than a underdog story made good. That’s certainly a valuable lesson that could stand all on it’s own. What’s interesting is that US MMA stars have harder time rallying the US troops to support them on the international stage. While others like the Irish and Brazilians are very quick to get behind their man when the “rallying call” is sounded. Conor has definitely integrated this into his story and it’s very compelling to watch. As you said, nothing like an underdog turned good! Loved the line that imitators only make you stronger. “Imitation is the sincerest form of flattery”, as my mother would always say. In the fight game, or any game when you’re positioning for the top spot, the best you can hope for by copying someone else is to be their slightly inferior number #2. And no one remembers #2 – even if you do it better than #1. Example: Does anyone know who Charles Lindbergh was? Answer: He was the first man to fly across the Atlantic. Question: Does anyone know who Bert Hinkler was? Answer: No. Because even though he flew across the Atlantic faster and more efficiently, with less fuel, he was the second guy to do it. Wow. .. this is quite a post! One to be bookmarked and re-read. My favorite is the part about “abandon toxic environments.” Also the part about the trough of failure. I must admit, when a piece of copy bombs, it’s easy to think, “Why did I ever think of being a copywriter?” Good reminder to try a few more iterations and now there’s the Copy Chief feedback thread. I’ve abandoned a few toxic environments in the past few years. Although most of them were created by people who I realized weren’t adding value to my life and weren’t leading me in the direction I wanted to go. The trough of failure is also something I have had to deal with. What’s interesting is how Conor’s unshakeable self belief still existed when he was in the trough. It begs the question, how can you possess the confidence of greatness when you are not yet at the level required to succeed? I think it comes from his work ethic and approach. He may not be #1, but he knows he’s doing the right things to get there. Can this type of strength of character be manifested without being such a braggart or do the two have to go hand in hand? In my opinion, the two do not have to go hand in hand. For Conor though, the two are inseparable as he uses both his his bragging and strength of character to intimidate his opponents. But when it comes to his fans, there are definitely two components at play. Similar to Muhammed Ali, he uses his brash bragging as a tool to gain attention. But it’s his strength of character and substance that makes it work. It’s his character that makes people “stick” when they do pay attention. Love #14. That is the key, isn’t it. No matter what other things might change in his back story, this one thing would need to remain constant. Commit to creating the life you want. Period. #14 is my personal favorite. It’s also the one that had the largest impact on me. Irish people in general have a sort of fatalist mentality. And as a nation, we are very rarely at the top of any competitive list. But Conor shows us all (myself included) that’s a matter of choice. Not being at the top is because you’ve accepted the cards you’ve been dealt, rather than deciding you are going to play to win. Awesome article! I hated MMA till 1 of my peak performance clients came to me from the UFC. I was shocked at how smart and caring he was and as I learned the sport, I took up fighting myself. You are absolutely right about the mental game in this sport just like in business. Nice nod to Sherman as well- another one who was easy to hate till we looked closer and fell in love! Very well done. I’m sharing this one. Loved this article. I had never thought about the controversy athletes created as intentional, I had always thought of it as a bad showing of unprofessionalism. You’re absolutely right about most of these guys having the personalities of a puddle. Footballers are the worst for that.